Aarav Velhal plays the role of Billu Gupta in the show Aap Ki Antra. 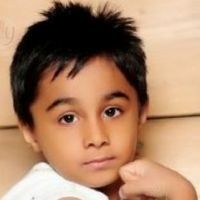 Check out the most updated and latest information about Aarav Velhal's on the Internet.We have 1 videos of Aarav Velhal including interviews, events, or public appearances.Aarav Velhal has over 35 Fans registered on India-Forums.com. We have 6 Television News articles related to Aarav Velhal.Do share your criticism, comments and feedback for the Actor on Aarav Velhal's comments page. We have over 21 Photos of Aarav Velhal to view and download including Aarav Velhal's Wallpapers. hello master Aarav .vELHAL you are soooooooooooo cute and soooooooooo loveable.we just do what u doing keep up the best work up. ur abishake is also cuttie kids . you all make the big fan of ur serial . Billu you are soo cute! Keep up the good work!